Today is a sad one, as Everybody Loves Raymond actress Doris Roberts has passed away. There is never enough time to truly appreciate someone’s entertainment value, but Roberts thankfully got to show off her talents on both the small and the big screen for over five decades. She was 90 years old. Doris Roberts reportedly died in her Los Angeles home on Sunday, according to TMZ, and her son Michael Cannata Jr. later confirmed the news. No cause of death was given. A television staple from 1996-2005, Roberts won over TV audiences for over 200 episodes as Marie Barone, the loving and manipulative mother of Ray Romano’s titular character and Brad Garrett’s Robert. She perfected the art of TV parenting while also coming off as a nightmare of a mother-in-law. Roberts was tragically preceded in Everybody Loves Raymond-related death by Sawyer Sweeten. Though she was best known as Marie, that was hardly her only remarkable TV role. In the 1980s, she joined the Pierce Brosnan-starring detective drama Remington Steele as the auditor-turned-receptionist Mildred Krebs, a character the show should have written in from the very beginning. Her small screen career goes back to 1951, when she had a bit part on Starlight Theatre, and continued on until last year’s ION TV movie Merry Kissmas. The years between saw her popping in and out of series such as The Streets of San Francisco, Rhoda, Soap, Barney Miller, The Love Boat, Dream On, The Middle, Grey’s Anatomy and Melissa & Joey. And that’s really just hitting the more notable roles, as there are dozens of other hit series she appeared in. Doris Roberts wasn’t quite as prolific in cinema, but she is indeed one of the most memorable parts of both National Lampoon’s Christmas Vacation and Grandma’s Boy. In recent years, she was seen in Tyler Perry’s Madea’s Witness Protection, and her last feature role appears to be in Frank D’Angelo’s 2016 drama The Red Maple Leaf. Here’s how Ray Romano reacted to the sad news, according to TheWrap. Doris Roberts had an energy and a spirit that amazed me. She never stopped. Whether working professionally or with her many charities, or just nurturing and mentoring a green young comic trying to make it as an actor, she did everything with such a grand love for life and people and I will miss her dearly. Far from just a screen actress, Doris Roberts was also one familiar with the Broadway stage during her long career, as well as a known animal rights activist for many years. Her love for cooking fed into her 2005 autobiography Are You Hungry, Dear? : Life, Laughs and Lasagna, which paired each chapter with one of her favorite recipes. The woman had many talents, and she utilized them all remarkably well over the years. 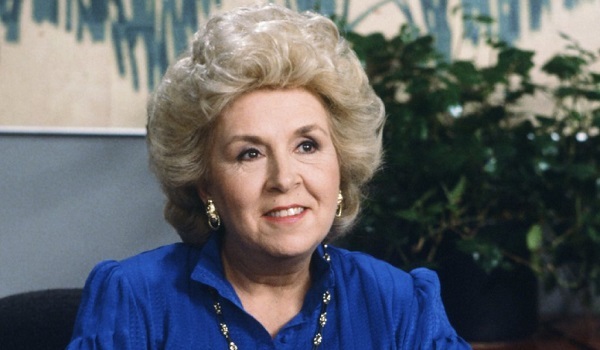 We at Cinema Blend offer our thoughts and condolences to the family and friends of Doris Roberts in their time of mourning.